For three years, between 2008 and 2010, Rupert Murdoch and his subordinates in charge of the Russian asset he owned, News Outdoor Russia (NOR), were under the investigation of the Moscow city prosecutors, the city Duma, and other government agencies for alleged bribery of municipal officials in exchange for business favours. NOR’s business was erecting billboards in public space on city or state property, and advertising products to passers-by. The less NOR managed to pay in rent for the land and permissions on which the billboards depended, the more profit Murdoch took from the advertising charge. Maybe Murdoch shared his profits with city officials, maybe he didn’t – that was the crux of the corruption enquiries. During that period, Murdoch’s asking price for his 79% control stake in NOR fell from $1.7 billion to $270 million, possibly less, which he accepted in July of 2011. The nominal buyer was state bank, VTB. How NOR’s debts, then amounting to at least $78 million owed to Raiffeisen Bank, were dealt with in the transaction terms, isn’t known. The outcome of the deal was that Murdoch owned nothing in Russia. VTB apparently took 50% in NOR, while NOR’s chief executive, Maxim Tkachev and other Russian managers held a stake of about 21%. In July of 2011, we published two stories indicating that Rupert Murdoch’s ownership and management of NOR had exposed him and other News International executives to corruption charges in Russia; and accordingly, to investigation in the US of violations of the Foreign Corrupt Practices Act (FCPA). Here is the first of those stories from July 7, 2011; and here is the second of them from July 22, 2011. WASHINGTON—A Federal Bureau of Investigation probe into News Corp. has turned to a former Russian subsidiary, seeking to determine whether a billboard company called News Outdoor Russia paid bribes to local officials to approve sign placements in that country, according to people familiar with the case. The investigation opens another legal front for the New York-based media conglomerate. News Corp. is trying to contain the damage from scandals over newsgathering tactics at its British newspapers unit, including admitted hacking into voice mails of people in the news and allegations of bribes paid to police and other officials. 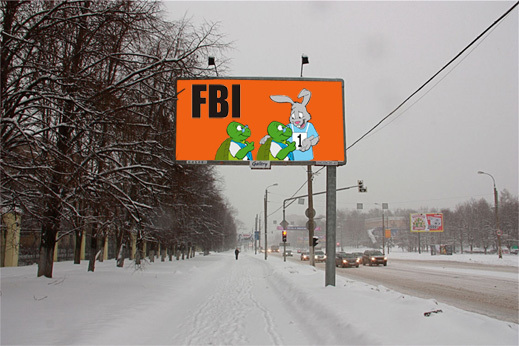 The US Federal Bureau of Investigation has been scrutinising a Russian billboard company controlled until last year by News Corp, suggesting that US investigators are conducting a wider probe into Rupert Murdoch’s media company than previously thought. News Corp declined to comment but one person familiar with the inquiry said FBI agents who are investigating allegations of phone hacking, bribery and other corrupt practices at its London newspapers had also been asking questions about News Outdoor Russia because they were “trying to look for a culture of corruption” at the company. News Outdoor Russia could not immediately be reached for comment. But a spokesman for the Russian company told the Wall Street Journal, which first reported the story, that it was “not possible” that employees could have paid bribes to officials or engaged in other forms of corrupt behaviour. News Corp sold its Russian and Romanian billboard interests in July 2011 to a group of investors led by VTB Capital, recording a small gain on the $360m sale. Three years earlier, it had hoped to get more than $1bn for News Outdoor when it entered sale negotiations with JCDecaux, the French outdoor advertising company, but talks fell apart within a month after the collapse of Lehman Brothers created havoc in global financing markets.